The Friends of Tynemouth Outdoor Pool - the community organisation set up to drive forward the redevelopment of the derelict outdoor pool site in Tynemouth - today announced the launch of their community fundraising efforts for this exciting local project, along with the support of North East musician Sting. Composer, singer-songwriter, activist and actor Sting, originally from Wallsend - just 5 miles from the pool site - recently pledged his support for the project with a financial contribution, helping propel Friends towards their initial goal of achieving charitable status. This will now allow the majority of donations received by the group from the community and other supporters to increase by a further 20% through Gift Aid. Community fundraising will form an essential part of the Friends’ plan to raise the capital required to get this unique project off the ground. All monies donated by the public will be as vital to the project’s success as the complex mix of grant aid and private funding Friends is currently working towards securing. Friends of Tynemouth Outdoor Pool have opted to use JustGiving – a widely recognised and trusted method of managing fundraising efforts already in use by many leading UK charities. Supporters of the Tynemouth Outdoor Pool project can donate right now at http://justgiving.com/tynemouthpool. And Friends of Tynemouth Outdoor Pool will shortly be announcing a wider fundraising schedule that puts the community in control of part of the fundraising effort. 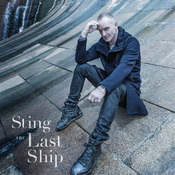 <i>The Last Ship</i> – Album Tracklistings!